Travelling is hectic, no doubt. What’s even more hectic is planning the trip. You spend hours researching places, hotels, restaurants, sightseeing spots, and budgeting for them. It would be so much convenient to have someone else do all the thinking for you, wouldn’t it? This is where chatbots come in. While mobile apps have made life a whole lot easier for travellers, bots take the experience a bit further. Singapore is a diverse business and cultural hub. It definitely finds a place among the world’s best travel locations. Therefore, it is important to ensure tourists and business people have a positive experience while travelling to and in Singapore. Mobile app development in Singapore has enabled the airline industry to push the boundaries of customer service. With chatbots, the industry aims to make travel less of a chore and more of an experience for tourists. Take a look at what chatbots have to offer the airline industry and how they can use it for better customer service. Flight search – Quite often, it is difficult to find flights at the time you want to travel and to the place you want to go. A chatbot can easily do this for you. Put in all the relevant information such as time, date, destination, and other preferences and the chatbot will come up with a number of flights for you to choose from. Flight booking – The chatbot can also book flights for you. This saves you the trouble of going through the airline’s website and entering page after page of information. Status updates – Flight delays and cancellations have become common nowadays. Bad weather, late arrivals, and heavy traffic can cause a delay or cancellation of your flight. A chatbot informs you of these events and provides reschedule details. This way you do not have to waste time at the airport by arriving early. Obtain boarding pass – Long queues at the airline desk can be frustrating. System malfunction and other technical issues can slow down the boarding process even further. Now, you can use a chatbot to obtain your boarding pass as soon as the check-in window opens. You need not keep your phone by your side all the time as the chatbot will automatically do it for you. Baggage information – If you look at an airline e-ticket, baggage details can be found somewhere in between the numerous pages of information. The process is confusing if there are multiple connecting flights involved. Chatbots simplify this process by providing the exact information regarding baggage so you avoid paying a penalty for excess baggage. Recommendations – You may be travelling to Singapore on business, but wouldn’t you want to spend some time on leisure as well? Chatbots can use the information you enter and plan a customised trip for you. For example, you love nightlife and greenery but don’t like zoos and museums. The chatbot will exclude Singapore History Museum and Singapore Zoo and provide information about attractions such as Merlion Park, Gardens by the Bay, and Helix Bridge. It will also suggest when you can visit them based on your schedule. Feedback – Chatbots can immediately respond to any complaint, compliment or suggestion you may have about the airline and its service. 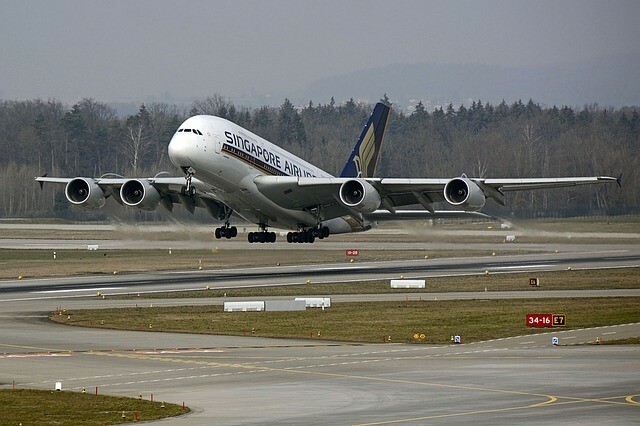 Singapore airlines, using its AI platform, saw a huge surge in online bookings. Similarly, airlines such as KLM, Lufthansa, Delta, and United have benefited by using chatbots efficiently. By integrating chatbots into their apps, these airlines are able to provide a smooth and hassle-free service to their passengers.